There were 6 internal competitions held during the 2015/16 season for Large Prints, Small Prints and PDI’s. For the first time the DAN Trophy competition results were included in the overall scoring. 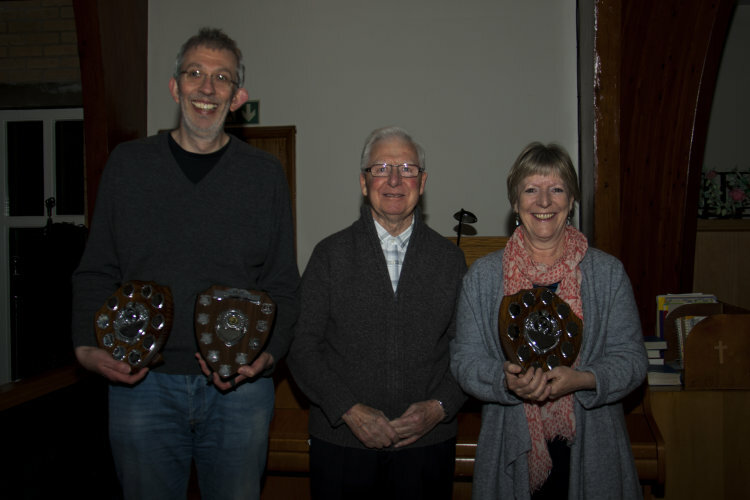 Trophies for the highest accumulated scores in the three sections were awarded to David Whitehead in the Large Print Section with a score of 284 points, Beryl Harwood in the Small Print Section with a score of 269 points and Phil Barnes in the PDI Section with a score of 191 points. In January 2016 we held our Mono Competition and trophies were awarded to Steve Jackson in the Large Print Section, Tony Tombacco in the Small Print Section and Graham Rowe in the PDI Section. 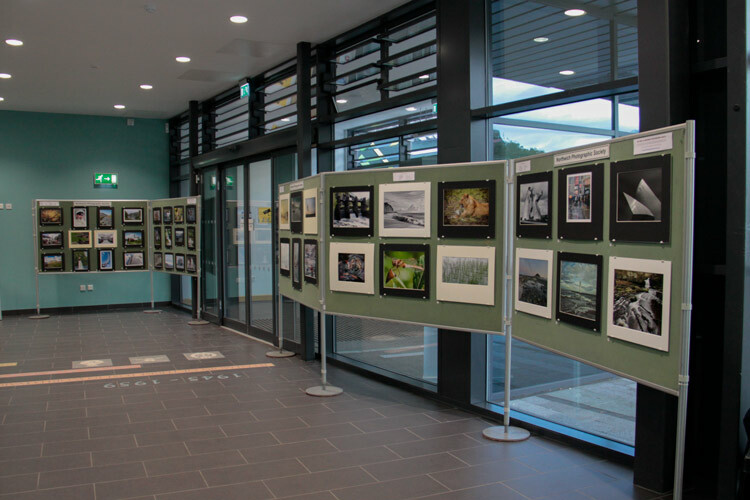 In February 2016 we held the DAN Trophy Competition and trophies were awarded to Maggie Bullock in the PDI Section for 3 images of Manchester Central Library, Roger Spurling in the Small Print section for 3 images titled “Remembrance” and Graham Rowe in the Large Print Section for 3 prints of “Haweswater”. On the 10th March 2016 we hosted the annual 3Way Battle against Frodsham and Mid-Cheshire societies. Each society entering 10 prints and 10 PDI’s judged by Bob Dennis. Each entry was scored out of a maximum of 20 points and at the end of the print section the scores were Frodsham 155, Mid-Cheshire 179 and Northwich 169. Credit is given to Steve Jackson who gained the maximum score of 20 for his print of “Looking At You Looking At Me”. In the PDI section the scores were Frodsham 164, Mid-Cheshire 173 and Northwich 166, with credit going to David Whitehead who scored a maximum of 20 points for his “South American Rhea”. The combined scores therefore resulted in 1st place Mid-Cheshire with 352 points, 2nd Northwich with 335 points and Frodsham 3rd with 319 points. The evening was extremely enjoyable and, although we didn’t repeat our win of 2015 we took great pride in the congratulations received from our visitors on a well organised evening and most welcoming friendly hosts. 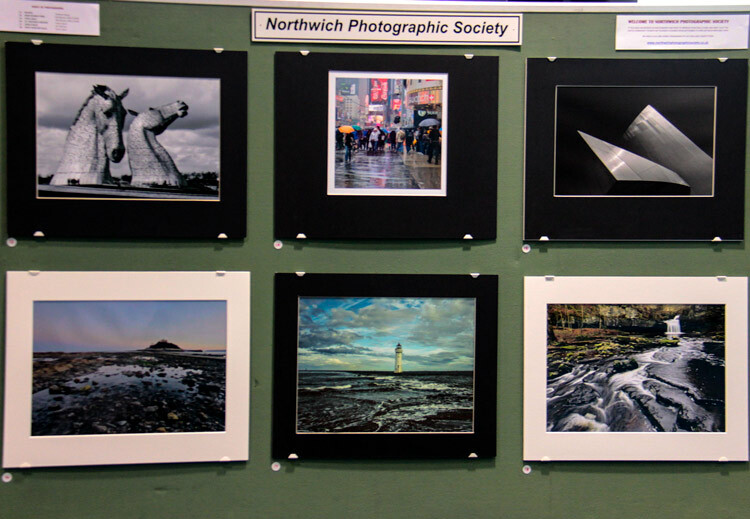 The Society again entered the Chester Photographic Society’s Inter Club Competition in November 2015 where 14 societies from the North West area of the L&CPU competed with submissions of 4 colour prints and 2 mono prints. The overall winner was Chester with Northwich coming a creditable 9th place having been placed 6th equal in the Mono Prints and 8th equal in the Colour Prints. During the closed season 5 members, namely Phil Barnes, Sarah Kinsella, Maggie and Paul Bullock and Graham Rowe entered images in the L&CPU Annual Individual Competition. Congratulations to Sarah whose colour print “Boy Crying” was retained for inclusion in a L&CPU Folio. The L&CPU produce a disk containing a selection of the submitted PDI’s and we express our congratulations to Phil Barnes, Sarah Kinsella, Maggie & Paul Bullock for having a PDI included in this selection. Congratulations to Peter Lawless, David Whitehead and Phil Barnes for gaining maximum scores. 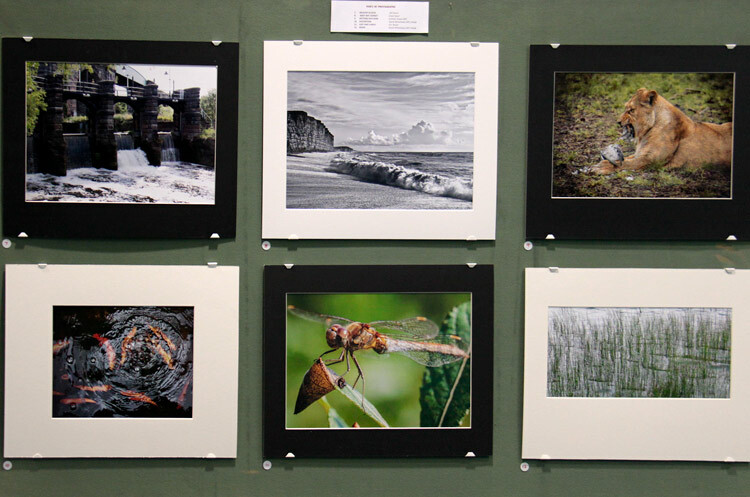 15 club print battle hosted by Chester Photographic Society on 4th November 2014. 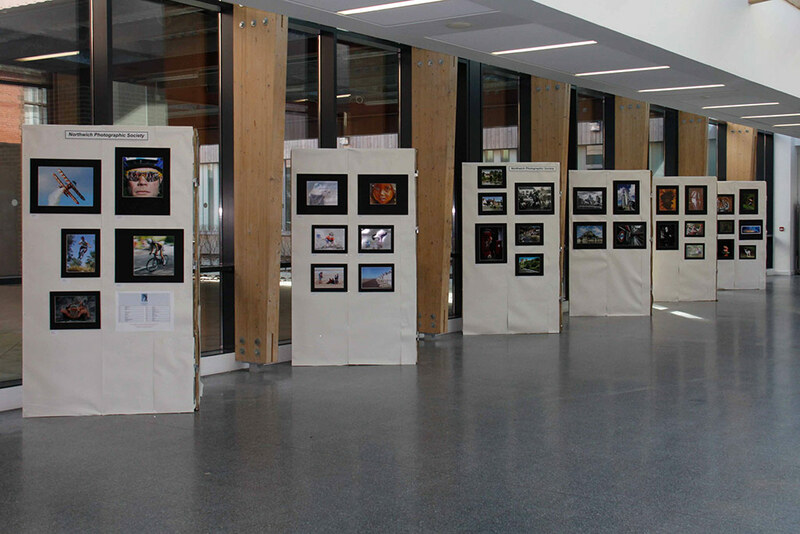 David Butler judged this annual event in which each club was required to enter 4 colour prints and 2 monochrome. Each section was judged on a knockout basis with those eliminated in the first round scoring one mark. The highest scoring colour print came from Warrington PS and for monochrome it was Nantwich PS. Northwich PS had three clubs with a lesser mark in the colour section and in the monochrome section seven other clubs with an equal minimum mark to ours. Overall we came twelfth out of the fifteen clubs but there was a tie for first place between Warrington PS and Chester PS who, as the hosts, magnanimously conceded victory to Warrington PS. On 24th March 2014 it was Frodsham's turn to host our annual 3-way battle. Each club had one print scoring 20 and Mike Janik produced ours. We had no PDIs scoring 20 but Peter and Margaret are to be congratulated on their 19s. 17 Clubs from the North West took part. Each club submitting 2 Mono and 4 Colour Prints. The 2013 3-way battle that we hosted on 14th March. A special mention should go to our member Mike Janik who had the best print of the night. Frodsham PS 176; Mid Cheshire PS 170; NPS 166. OVERALL RESULTS FROM INTERNAL COMPETITIONS DURING THE 2011-12 SEASON. The winner of the Large Print Trophy for 2012 was Steven Jackson with 117 points. Second was Mandy Johnson with 44 points. Third Graham Rowe with 37 points. 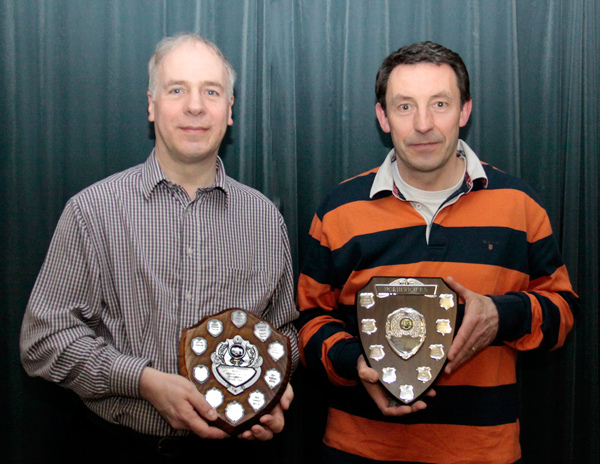 The winner of the Small Print Trophy for 2012 was Phil Barnes with 67 points. Second was Colin Bradford with 60 points. Third Barrie Dodd with 52 points. The winner of the PDI Trophy was Steven Jackson with 60 points. Second was Mandy Johnson with 55 points. Third Paul Zietsman with 54 points. Congratulations to Jackie & Mandy for their maximum marks in Prints and PDIs respectively. 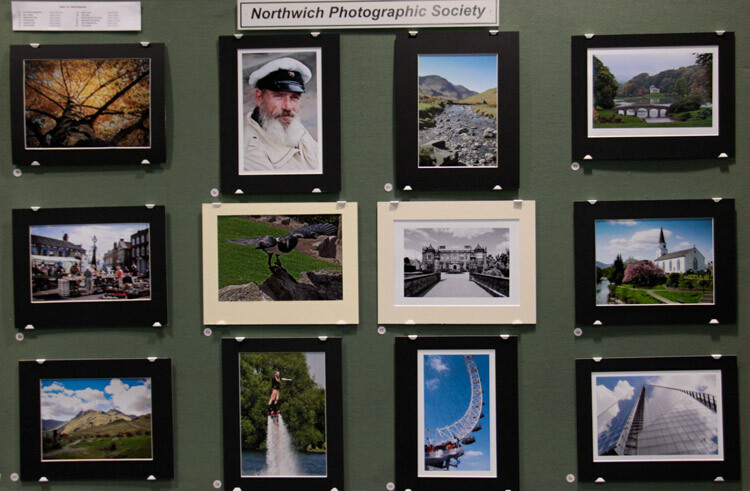 On 15th November 2011 we took part in a multi-club print battle hosted by Chester Photographic Society and 9 of our members attended to support Northwich Photographic Society. 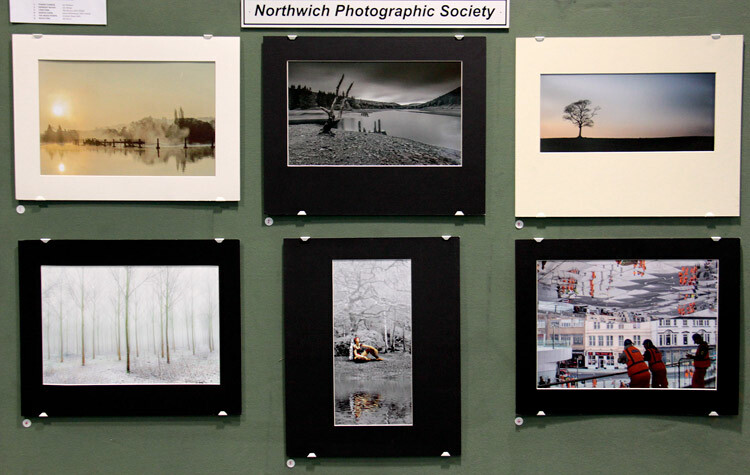 16 clubs were involved and the overall winner was Nantwich Photographic Society who also had the highest scoring colour print. 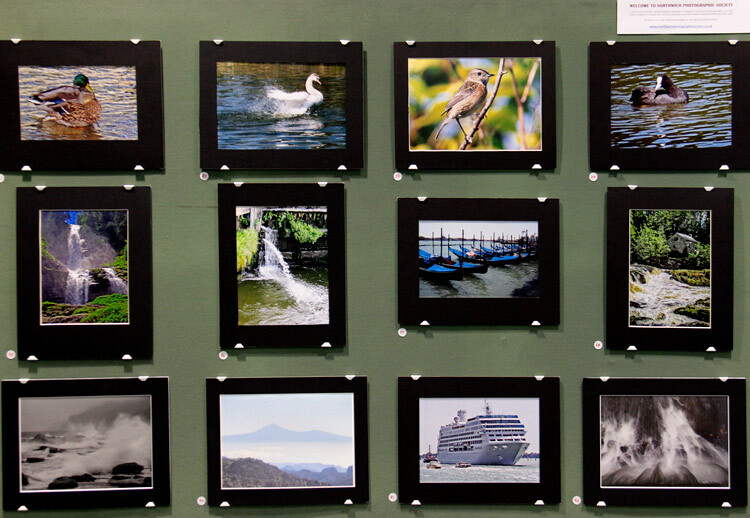 They were closely followed by Warrington Photographic Society who also had the highest scoring monochrome print. 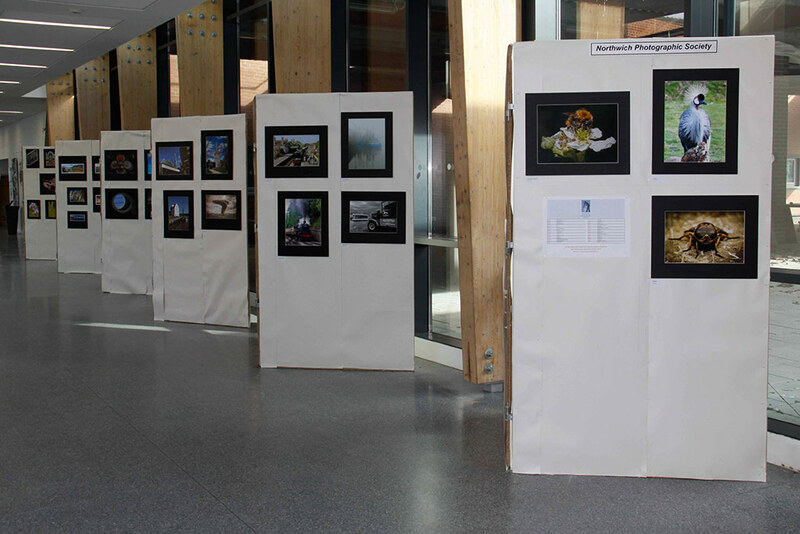 Each club entered 4 colour prints and 2 monochrome prints, which were judged separately. Prints eliminated in the first round scored 1 point, second round 2 points, third round 3 points, fourth round 4 points, leaving one print to score 5 points. The Judge was Toni Pioli ARPS, ABPE. We were represented by the following prints and were not the lowest scoring club in either section gaining an overall position of 11th equal. “The Navvy” by Graham Rowe; 2 points.